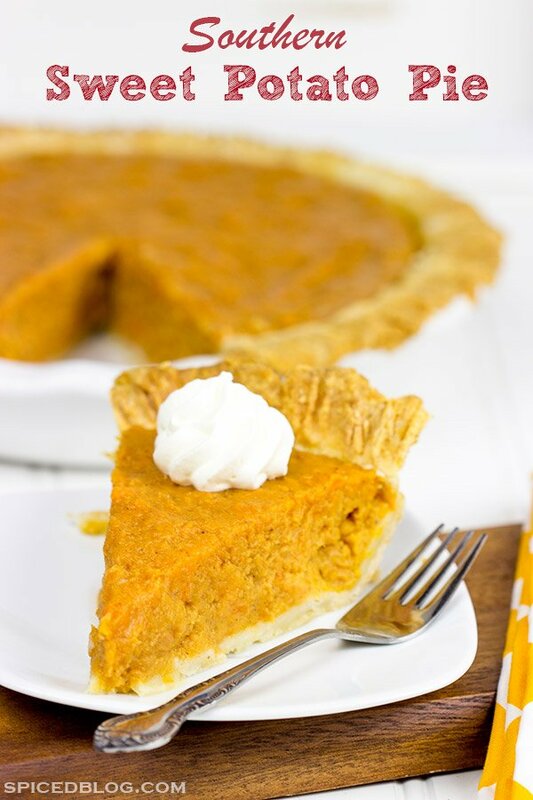 This Southern Sweet Potato Pie is a classic Thanksgiving dessert! It’s funny how different areas of the country are associated with various types of food. For a Southern boy like me, foods like Buttermilk Biscuits, Banana Pudding and Red Velvet Cake were commonplace. But now that we live in upstate New York, we’ve discovered that maple syrup is way more than just a topping for pancakes. And I had no idea that there was such a difference between New England Clam Chowder and Manhattan Clam Chowder. And now that we live so far away from family, I’ve really begun embracing those traditional Southern recipes that I remember from my childhood. 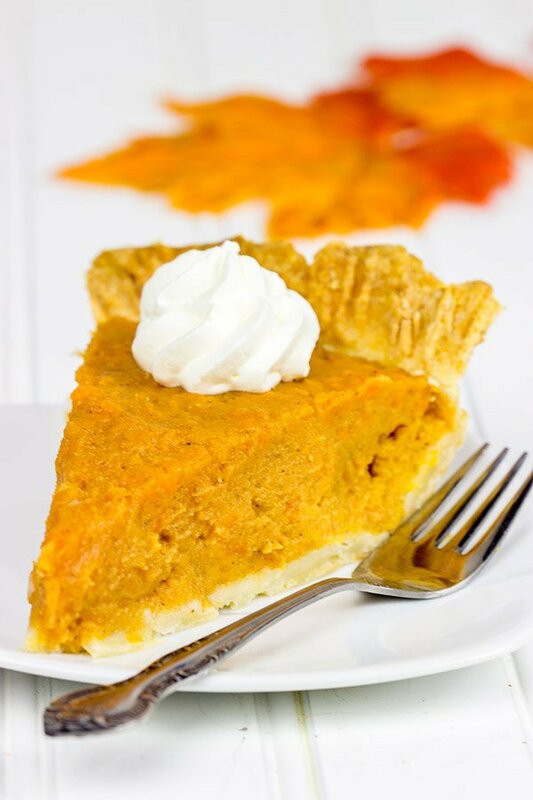 This Southern Sweet Potato Pie is an amazing dessert, and it was a Thanksgiving staple around our house. I’m not a huge country music fan, but I do enjoy some of the classics. Much to my wife’s chagrin, I recently came across my Best of Alabama CDs (the band, not the state). I have no idea why they were doing hiding under a pile of old towels in the back of the linen closet, but I’m glad I found them again! The first song that came on was “Song of the South” (a classic!! ), and I immediately got lost in the lyrics. “Song, Song of the South/Sweet potato pie and I shut my mouth…” That’s when it hit me. Sweet potato pie. I haven’t had sweet potato pie since we moved. Needless to say, this Southern Sweet Potato Pie made an appearance in our kitchen shortly thereafter. Speaking of country music, my sister lives in Nashville, the country music capital of the world. It’s not that uncommon for her to see famous country musicians in the grocery store. Wouldn’t that be fun? Heck, I consider it a good day when I bump into my neighbor at the grocery store! Last time we were down there visiting, my sis took us out to eat at a little general store outside of Nashville. I’m talking down home cookin’ here. Fried chicken. Cornbread. Sweet tea. This general store also had a stage on one side, and there was a local country band playing while we ate. With Thanksgiving approaching in just a couple of weeks, it’s time to start planning the big feast! Of course, there’s the turkey. But which side dishes will you make? 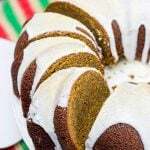 And more importantly, which desserts earn a coveted spot on the Thanksgiving menu this year? May I suggest this Southern Sweet Potato Pie? 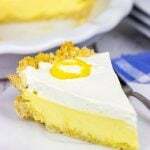 This custard-style pie is a classic, and it’s really not difficult to make. It’s basically mashed sweet potatoes mixed with milk, sugar, eggs and spices. And it’s one of my favorites! Enjoy! Add the mashed sweet potatoes, evaporated milk, vanilla, cinnamon, nutmeg and salt. Mix until well combined. 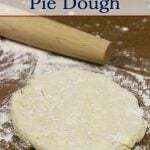 Transfer mixture into unbaked pie shell. I’m clearly in need of a trip down south… or maybe over to New York, because believe it or not, I’ve never had sweet potato pie. I know, I’ve had a very sheltered life. I’d ask you to ship me one, but we already know how unreliable your postal carrier is. You are such a wierdo, Tamara! Haha…just kidding! Sweet potatoes in pie form is definitely a unique taste. And truth be told, cheesecake is my all-time favorite holiday dessert anyways! This needs to become a staple dessert here, it looks incredible! Thanks, Matt! 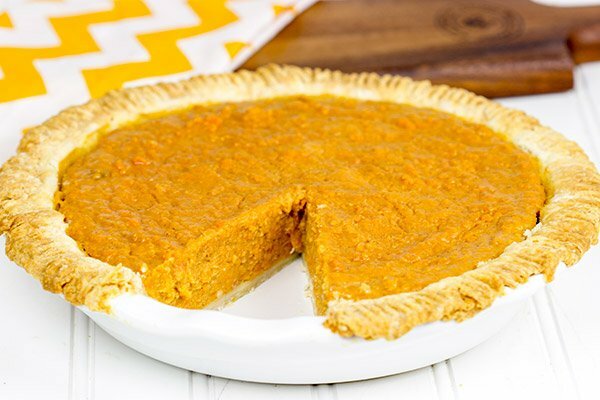 Sweet potato pie is such a unique dessert. I didn’t realize it was primarily a Southern thing until I moved away. Now I just have to make my own! I read your post David, and I was hoping that ” this Southern Sweet Potato Pie made an appearance in (my)kitchen shortly thereafter” but alas – it didn’t!! 🙂 This sounds delicious! I just pulled up the last of the sweet potatoes from my veg garden and guess I know what to use them for now. A friend of mine visited Nashville this past summer and she was talking about this restaurant/bar she went to where people would just take turns walking into a “circle” on stage with their instruments and play and sing along. She said the youngest was a girl around 9 or 10! That’s as amazing (to me) as that 90 year old! Here’s hoping you too have the gumption to do what that 90 year old did too! You grew sweet potatoes?? Man, I am so impressed! We grow all sorts of awesome veggies, but I’ve always been too scared to true potatoes. You totally deserve an extra slice of pie for growing your own! Btw – It was our first time growing sweet potatoes and they were the easiest! Totally bug resistant – and didn’t even need tons of water – but I think I planted them a tad too late, some of the ones I pulled up are teeny tiny. Hey…where’s MY medal for my musical expertise and skill? It’s the 2000’s…everyone deserves a medal. Hmph. Yeeesssss! I LOVE sweet potato pie. It makes me feel like a real Southerner and not like the impostor that I am. Yours looks so delicious…creamy just the way I like it! And the whipped cream…that is a must. Which I never knew growing up…deprived. LOL I’m from St. Louis! Went to college in NC and haven’t made it out of the South since. Yes! Sweet potato pie is certainly a Southern classic, Jess. It’s really tasty, but also a little strange at the same time if you’ve never had it. I still highly recommend trying it though…it’s one of my favorite Southern comfort foods now! Man you are killing me. Now I think I may have to make four pies this year. This looks like a must! Love love love hearing about your Southern inspiration David. Rock it! I’ve blasted James Taylor’s song while reading your post, and it was honestly awesome. Oooo…yes!! I had totally forgotten about James Taylor’s song. Well played, Alpha, well played. I love me some James Taylor! Darn you, Chris. You just ruined my surprise for you. I just put one of these pies in the mail to you today…but I should warn you that my mail carrier isn’t the most reliable of people. The pie might show up missing a slice or two. Sweet Potato Pie has definitely been a favorite in my family for years. A Southern staple for sure ! May I make a suggestion. When I prepare my potatoes for the pie, I wash them, allow to dry then place them on an aluminum covered baking sheet. Spray them with butter flavored non stick spray and bake at 400 degrees until soft. Allow to cool then remove peel. Proceed with rest of the prep for the pie. It intensifies the sweetness and flavor of the potato ! Enjoy ! Hey Cathy! Thank you so much for this tip. I’ve always boiled the potatoes, but I can see how roasting them in the oven would intensify the flavor for sure. Great tip!! It’s almost sweet potato pie season again…so I’ll definitely keep this little trick in mind. Thanks again, and have a great weekend! Baking the sweet potatoes intensifies the flavor, I think. It’s the only way older generations of Southerners cooked them. I love this pie for Christmas. We can always have Pumpkin for Thanksgiving. Haha! Cold is just relative isn’t it, Leona? I mean when I lived down South, cold was anything 50°F or less. Now I’m running around outside in a t-shirt if it’s 50°. Cold is now anything less than 20°F! Of course, hot has changed for me, too, and I’m burning up when the temperature hits 90°F. 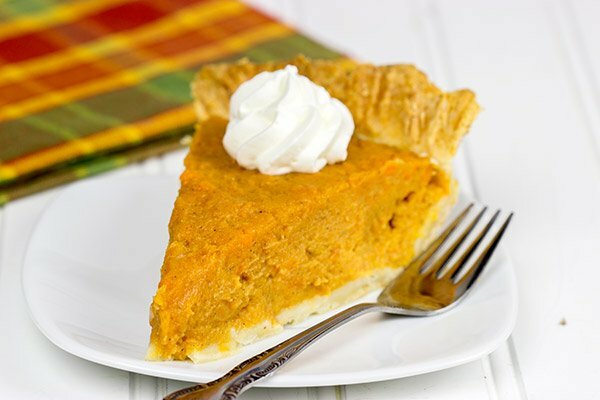 (That used to be a mild day down South…) Anyways, I’m so glad your mother-in-law introduced you to sweet potato pie! It really is a classic…and it’s almost time to make another one for this year’s Thanksgiving table! (I know you guys in Canada already had Thanksgiving…but you can celebrate again, right?) 🙂 Thanks so much for dropping by and commenting!! this sounds delish and i would like to make a few for thanksgiving this year HOWEVER, im in a high altitude area (DENVER). what changes would i make for this to come out looking/tasting as yummy as yours? thanks in advance for your feedback!! If you’re planning on serving this for Thanksgiving, I might recommend a trial run sometime in the next week or two…that way you can work out the kinks before Turkey Day. Plus, more pie is always more better, right? 🙂 Thank you SO much for your comment, and if you think about it, do let me know how this pie turns out! Happy baking, my friend! Why thank you very much for stopping back by, Leona! And I’m so happy to hear about your daughter. I actually grew up in North Carolina, and it’s a wonderful place to visit…especially in the Fall! 🙂 Don’t be a stranger if you see any other fun recipes and dishes! Cheers, my Canadian friend!